What Is More Effective for Weight Loss: Adipex or Adderall? Catherine Schaffer has been writing since 1990. Her articles have appeared in many medical journals and textbooks. Schaffer holds a Bachelor of Science from Baylor College of Medicine and a physician assistant certificate. She has written health and nutrition articles for various websites and teaches movement and nutrition to help women overcome chronic diseases and obesity. According to 2011 information from the Centers for Disease Control and Prevention, more than one-third of American adults are obese. This means they have a body mass index greater than 30. Obesity increases the risk of heart disease, diabetes, cancer, gallbladder disease and sleep apnea. It seems as if Americans everywhere are trying various diets and tools to help them lose weight. Some try diet pills in an effort to take off extra pounds. Dieting has become the obsession of American adults. According to 2007 information from the University of Colorado at Boulder, 1 out of 3 women and 1 out of 4 men are on a diet at any given time. The unfortunate news is that two-thirds of dieters regain their weight back within one year and virtually all of them regain it within five years. Because of this the diet industry in America takes in over $40 billion a year. Many diets fail because they are unsustainable. Diet programs that are restrictive and significantly change the way you normally eat are bound to fail in the long run. Many people are resistant to the necessary exercise that must accompany any diet. So they turn to pills, looking for a panacea. Adipex, or phentermine, is a stimulant similar to an amphetamine and acts as an appetite suppressant by interacting with the central nervous system. The Food and Drug Administration approved phentermine as a diet pill in 1959. 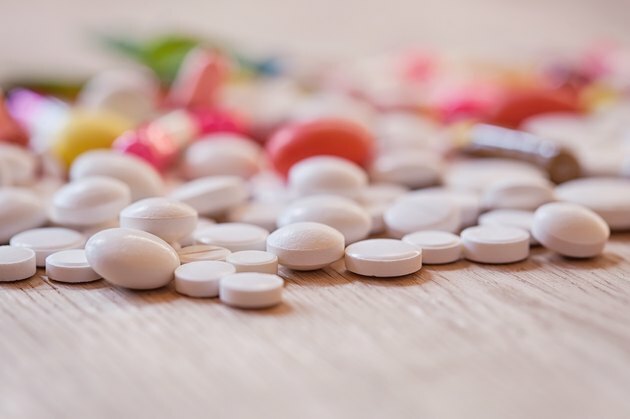 According to Drugs.com, clinical trials show that patients treated with anorectic drugs such a s phentermine lose more weight on average than those treated with placebo and diet. However, the magnitude of increased weight loss is only a fraction of a pound. The greatest weight loss occurs within the first few weeks of therapy and then decreases over succeeding weeks. Drugs.com notes that the amount of weight loss with the use of an anorectic drug varies from trial to trial. The natural history of obesity is measured in years, whereas the clinical studies are restricted to a few weeks duration. This fact limits the usefulness of short-term studies showing efficacy in the use of phentermine. Adderall is an approved medication used in the treatment of attention deficit disorder. It is also used in the treatment of narcolepsy. Like phentermine it is a central nervous system stimulant and can affect appetite. Unlike phentermine, Adderall is not approved for weight loss and there are no studies citing the efficacy of Adderall for weight loss. However, weight loss is one of the known side effects of Adderall. According to AdderallAbuse.net, Americans are acquiring Adderall from their friends, the internet and other illegal sources in an effort to use Adderall for weight loss. Adderall can have serious side effects such as potential for abuse, psychosis, sudden cardiac death and hypertensive crises. Adderall should not be taken for weight loss and should never be taken without the supervision of a physician. The best diet advice is to modify your lifestyle. Modest modifications in portions and food quality can jump start you on the way to permanent weight loss. Finding a physical activity that you enjoy and can do with a partner can heighten your chances for success. Take a walk, go dancing, play tennis, ride a bike, swim, or hike are just a few suggestions for physical activity. The best diet pill in the world is the one that is not taken. Can I Take Diet Supplements While Taking Adderall? Can You Take Zoloft With Diet Pills? Can You Take Diet Pills With High Blood Pressure?